I love to buy all U.S. Coins & Currency, Confederate Bills, National Banknotes ($5.00 thru $100.00 bills) issued by local area banks from the 1870’s thru the 1930’s. I am also interested in other National Currency from small town and banks in different states. I buy Confederate notes from 1861 & 1862 ($2.00 to $1000.00). Notes bring Very High Value! I am especially interested in early U.S. Coins from 1792-1838, 1 cent thru $10.00 Gold, 1792 Half Disme, 1793 Half Cents 1793,1799 & 1804 Large Cents, 1794 1795,1796 & 1797 50c, 1.00, 5.00 & 10.00 pcs, to name a few of the Most Valuable coins from that time period. As Always I will buy most all U.S. coins Copper, Silver, & Gold up to the present time. I pay very competitive prices for Gold & Silver Bullion coins based on current Market prices. This includes Sterling Silver Bars, American Eagle Coins both Gold & Silver, all Foreign Gold Coins & Bars inc, K-Rands, Maple Leafs, Panda’s, Francs, Sovereign’s, Russian Rubles, etc…. I am Licensed to buy Scrap Gold & Sterling Silver. MD # 2464. 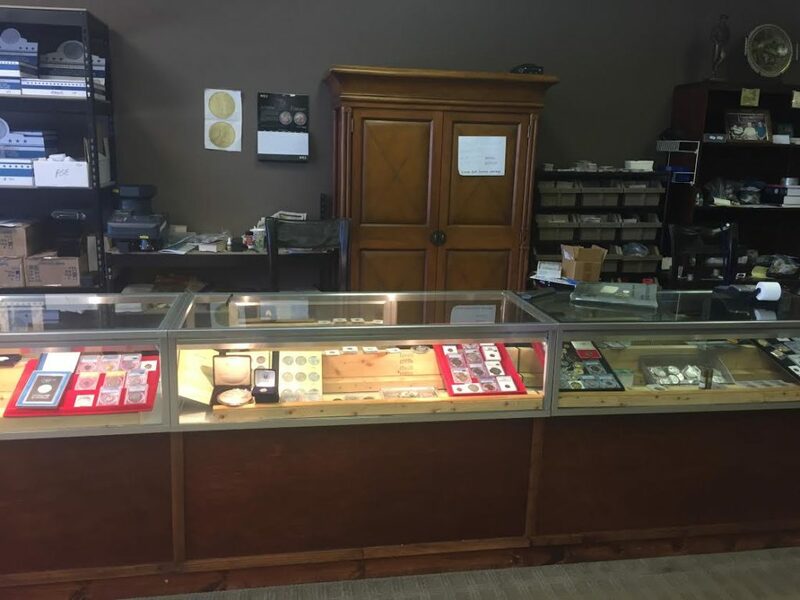 Stop by and get in on the current high Gold & Silver price. If you’d like to sell your coin collection and you live in Augusta GA, Aiken SC, North Augusta SC, Wrens GA, Thomson GA, Harlem GA, Grovetown GA, Evans GA, Greenwood SC & Barnwell SC contact us.